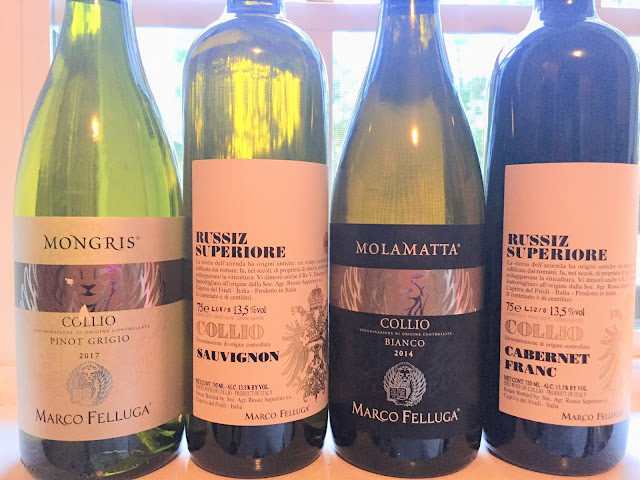 Marco Felluga and Russiz Superiore are two wineries under one umbrella that demonstrate the quality that the wine region of Friuli in northeastern Italy is capable of producing. Giovanni Felluga, the father of current owner Marco Felluga, moved to Collio within Friuli after World War I in the 1930’s. Marco took over the family business in 1956 moving the wine operations to the area of Collio and Colli Orientali del Friuli, but the family heritage has been in the wine industry since the 1800’s in the area of Istria. Marco had been educated in oenology at the well known university in Conegliano. Today the wine is operating 6 generations of the Felluga family with Marco’s son, Roberto, managing both Marco Felluga and Russiz Superiore. The Friuli-Venezia Giulia region of Italy is tiny tucked up in the northeastern corner bordering the Venezia region to the west and Austria and Slovenia. It is surrounded by the Julian Alps to the north and close proximity to the Adriatic Sea with a mild climate providing ideal winegrowing conditions with warm days and cool nights. The soils of this area, once the ocean floor, are rich with minerals and made up of limestone and clay where water permeates off the soil limiting the amount of erosion. When I’ve visited these regions of the north there are many cultural influences depending upon its borders. This region gained a lot of popularity with the influx of pinot grigio on the market in the 70’s. Unfortunately, pinot grigio always has a tainted image due to the mass production of lower quality wines, but Friuli and Marco Felluga featured today have tried to turn that all around. When folks ever ask me for some of my favorite white wines of Italy I typically point them to this region. Marco Felluga is located in Gradisca d’Isonzo within the province of Gorizia in Friuli. It’s a fortified town that dates back to the 1300’s under the Venetian Republic. It’s vineyards are spread amongt 4 different vineyard sites each with their own characteristics located in: Oslavia, Cormons, San Floriano del Collio and Farra d’Isonzo. a fortified citadel of the Venetian Republic dating back to the 1300’s. 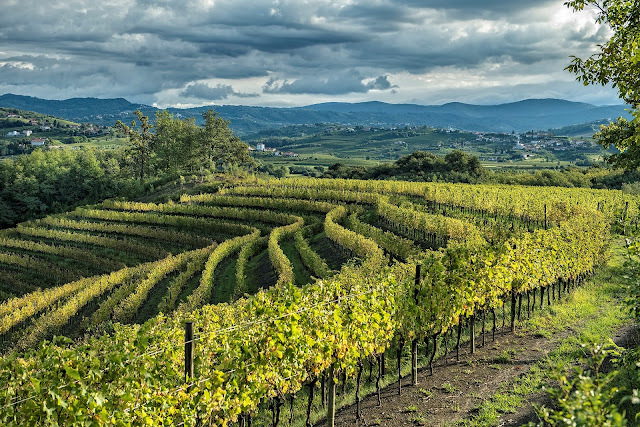 Russiz Superiore, on the other hand, has it's vineyards set amongst the winery itself located in Capriva del Friuli, also within the Gorizia province. This winery was purchased almost 10 years later in 1967 after Marco Felluga was established. It’s name is derived “superior” location set high up in the hills. The wines produced under this brand are considered the “cru” and more prestigious of the two brands. Even though Friuli and the winery’s primary focus is on whites there are some solid red wines being produced in Friuli that are sure not to be missed. Marco Felluga produces everything from pinot grigio, sauvignon blanc, friulano, ribolla gialla and chardonnay for whites to cabernet franc, refosco, merlot and cabernet sauvignon for reds. You’ll typically see many single varietals from this region. The Collio DOC in which they are produced was the 3rd granted DOC within Italy back in 1964. 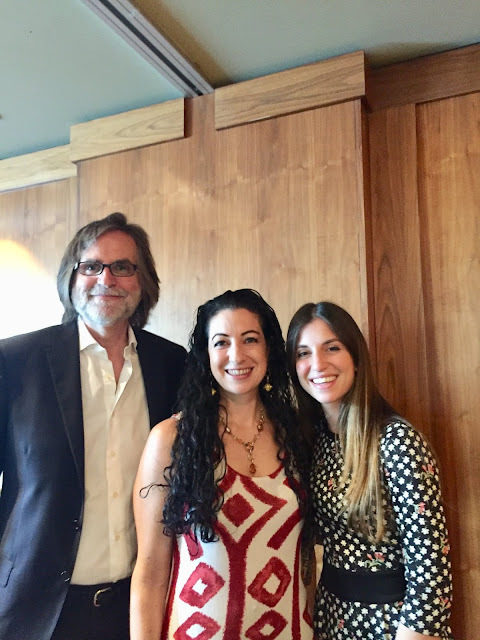 I had the opportunity to meet Roberto Felluga and his daughter, Ilaria, last year at a tasting by wine importer Dalla Terra in the Boston area. Being the wine geek that I am I get truly excited when I have the opportunity to meet families of Italian wineries and get a little nervous as if I’m meeting a Hollywood star. Marco and Ilaria were the most welcoming and shared great conversation with me about their wines. It’s always amazing to me how humble some folks are when he has really paved the way for quality in this region. Of course the general rule of thumb is to drink white wines in their youth, but Marco Felluga has shown the ageability that white wines are capable of. With age it’s stated that these wines will show their mineral characteristics of the land and ripe fruits. 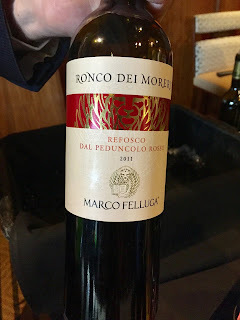 Just as an added FYI I also tried the 2011 Marco Felluga Refosco dal Peduncolo Rosso “Ronco Dei Moreri” IGT and was one of my other favorites from the tasting! It seemed that I tended to lean more towards the Russiz Superiore wines for personal preference so please try them for yourselves and let me know what you fall in love with. *These wines were provided as samples, but opinions are gladly my own. I haven’t had too much exposure to the wines of Washington state, but the ones I have tried I have enjoyed. It’s an area I must explore more of for sure. 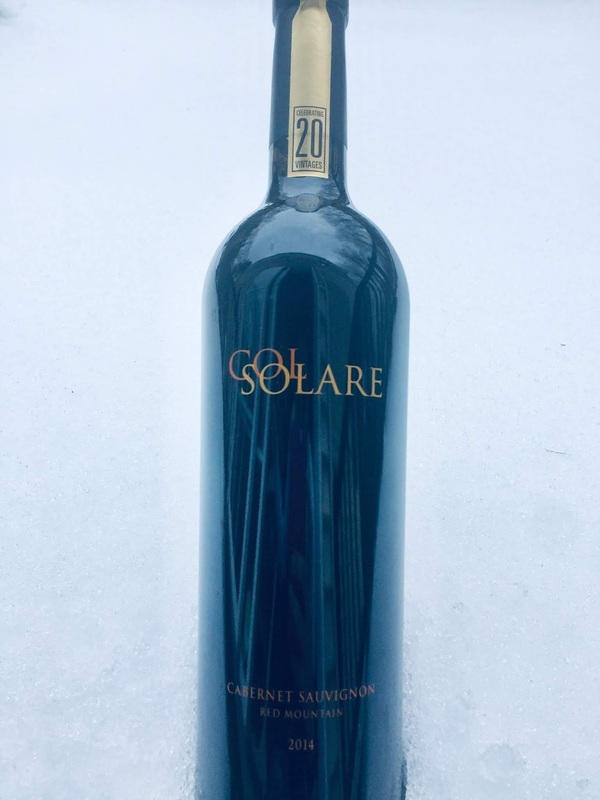 I was introduced to the Col Solare Winery and was intrigued by the story since it’s a partnership of 2 prominent figures in the wine industry: Piero Antinori of the famous Marchesi Antinori family of Tuscany and Ted Baseler of Chateau St. Michelle Wine Estates. If you’re not familiar with the Antinori family they are best known for their production of Sassicaia and Tignanello introduced in the 70’s. They integrated a number of elements into their winemaking, which was unheard of at the time like international grapes like cabernet sauvignon and use of barriques. What brought Piero Antinori to WA? He journeyed there in 1992 encouraged by St. Michelle’s consultant at the time, Andre Tchelistcheff, a historical winemaker in California’s wine industry post Prohibition. He felt a lot of old world characteristics that appealed to him therefore encouraging the beginning the partnership of what we see today with Col Solare. Col Solare is located in the Red Mountain AVA (American Viticultual Area) of the Columbia Valley in Washington. The winery’s primary focus is on cabernet sauvignon, but they also have planted some of the bordeaux varietals like syrah, merlot and cabernet franc along with some carmenere and malbec. Red Mountain is named after the color of the red toned grass that grows in this area. 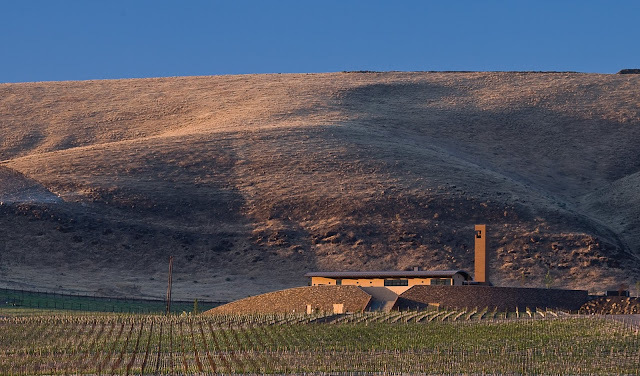 Previously an eddy from the time of Missoula floods, the combination of soils and climate provides a great area for the production of cabernet sauvignon. 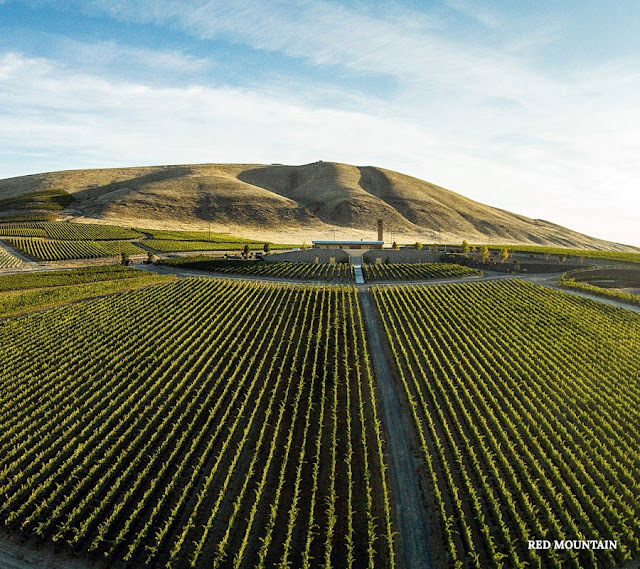 It’s the warmest wine appellation of WA state therefore producing wines that are full, ripe and aromatic. 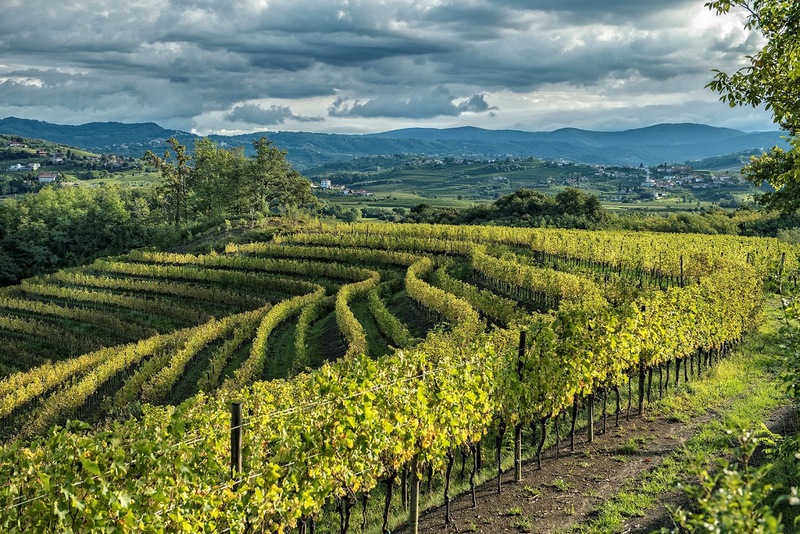 The Antinori’s influence of orientation, spacing and density of the grapes was made similar to their vineyards in the region of Tuscany and Umbria. 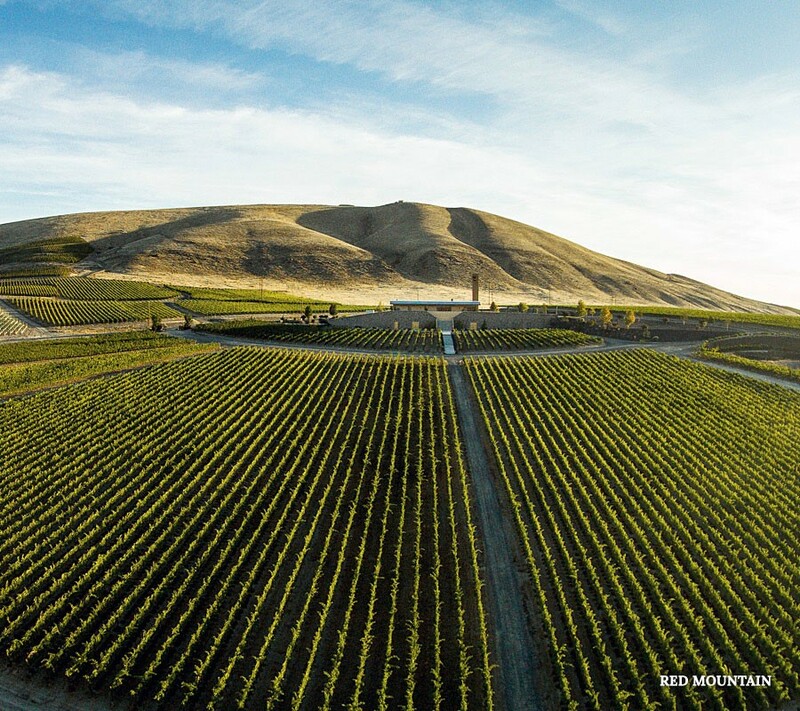 I haven’t been out to this winery myself, but the pictures of their radial pattern orientation of the vineyards emulating rays of sunshine from the winery itself is stunning. *This wine was provided as a sample, but opinions are always my own. What I love about wine is that it’s a never ending learning process and this months Wine Pairing Weekend group takes us to Uruguay to discover these South American wines. This is actually my first go around at tasting a wine from Uruguay. It is always tough to not want to judge wines from a particular country once you’ve tried some and make an overall judgment on the quality produced there. 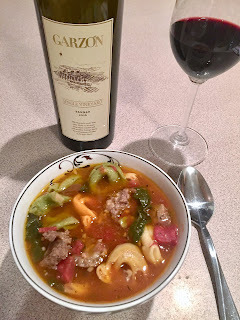 Luckily the wine I’m sharing today from Bodega Garzon left a positive impression, but I have been on the opposite side of the spectrum many years ago with South African wines. I had tried a couple at a tasting and they were not to my liking at all. I never tried them again for years until my trip to South African back in about 2012. I ventured to the wine region of Stellenbosch. To make a long story short my first impression previously was no longer valid and I’ve really come to appreciate the wines produced in South Africa. So push yourself to try something new and keep exploring as you may be pleasantly surprised. Let’s begin to explore Uruguay and all it has to offer. Uruguay is located in South America and is situated between Argentina and Brazil close to the Adriatic Ocean that provides a cooling breeze over the land. Their temperate climate is very favorable to winegrowing and is on the same latitude of New Zealand, Australia and South Africa. What was so interesting to learn about this country is the large influx of Italian immigrants there in the late 19th century to early 20th century. I've read that about 1/3 to 1/2 of the population is Italian so there is a large influence of the Italian way of life, especially via food and wine. 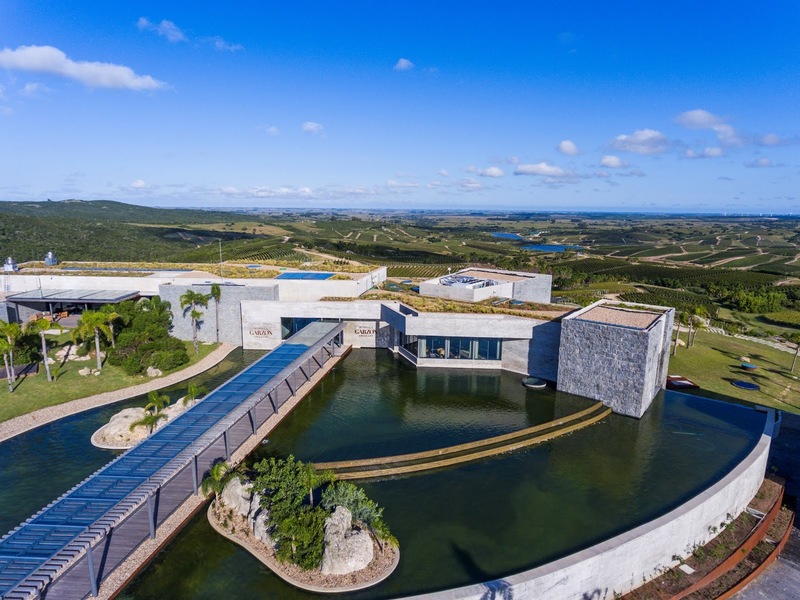 Bodega Garzon immediately makes taking a trip to Uruguay enticing from the amazing pictures and information they share on their website not only about their winery itself, but the land and attractions of what Uruguay has to offer. The newly established winery looks like a vacation in and of itself with cooking classes, helicopter rides and a restaurant onsite. You got me sold! Plus, it was rated in 2018 by Wine Enthusiast as New World Winery of the Year! The winery was founded by Alejandro Bulgheroni and their pride lies in operating as a sustainable winery that through its practices produces wines that truly show an expression of the land. According to their website they are “the first sustainable LEED certified winery (Leadership in Energy & Environmental Design) outside of North America” which was established by the US Green Building Council. Bodega Garzon makes sure all their grapes are also hand harvested so the utmost quality grapes are used in their production. They actually have 1,000 plots of with varying climates, exposures to sun, land orientations and soils. What’s unique about their soil is that it contains crystalline basement, which dates back to 2500 million years ago. This soil is further broken down into what they call ballast, which is the weathered rock. It’s great for drainage, which makes the roots strive for the nutrients they need and it also provides a lot of minerals. 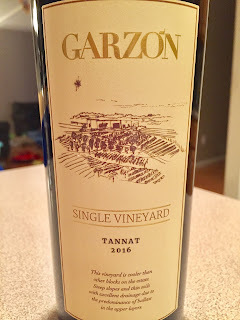 Tannat is a grape that shines in Uruguay and is the primary grape they are known for. It’s a grape that originates from the southwestern part of France, specifically Madiran. Tannat grapes produce wines with great structure, depth that are dark in the glass and filled mostly with black fruits and even some spice. Between the sagrantino last week and tannat this week I guess my recent wines haven’t been for the light hearted wine lovers. Plus, as if you needed a reason to drink more wine this grape is known to be higher in antioxidants! The Pairing: Since food from Uruguay is very much focused on meat I felt that the tannat would pair best with a sausage stew I recently made. It’s simple as anything to prepare and flavorful to warm up these cold winter nights in New England. Combined with diced tomatoes, spinach and tortellini I combined these ingredients with the sausage dashed with some oregano, salt, pepper and garlic. The sausage seemed to be a natural pairing with the tannat and I can imagine many other meats and BBQ would as well. Have any of my readers been to Uruguay? I unfortunately have yet to venture to South America, but it’s on my list of places to visit. Join the rest of my fellow food and wine bloggers as they share their amazing pairings of Uruguay wines with food. If you catch us in time we’ll be chatting live on Twitter this Saturday February 9th at 11am EST at #WinePW.